→How to Make Different Items Perfect Rolling Pin Substitute? How to Make Different Items Perfect Rolling Pin Substitute? Do you have a rolling pin in your house? Have you ever misplaced the pin? what did you use as a substitute? One day I was baking and I didn’t have a rolling pin, I decided to use my water glass. It was a perfect rolling pin substitute. 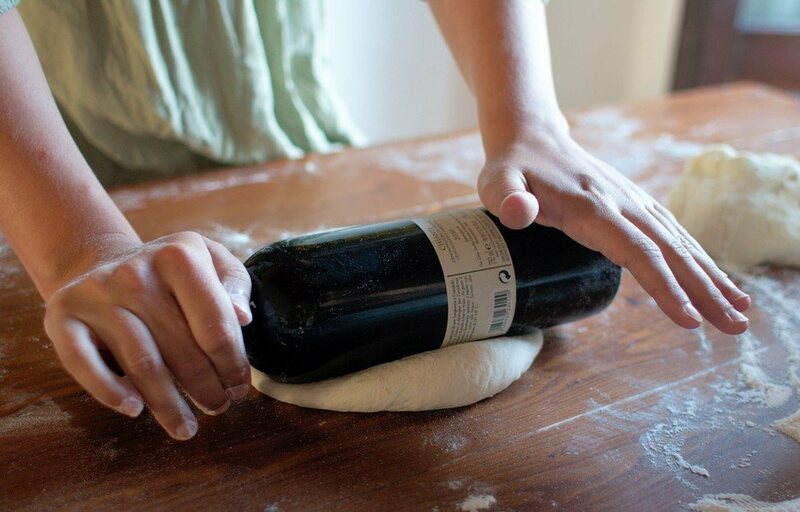 If there is a wine bottle at home, you can use it to roll your dough. A wine bottle that is half-full or full can be used to roll perfectly the pastry dough. You can use a chilled wine bottle to keep the dough soft but firm. Use a plastic wrap or a parchment paper to sandwich the bottle. This will help to prevent it from putting any microbes or bacteria on the dough. This will also make the dough not to stick on the bottle. You can disinfect the bottle on the outside, when you don’t have a parchment or a plastic wrap. Use flour on the bottle before you roll the dough. After wrapping the bottle with the plastic or parchment paper, disinfect and sprinkle with flour before rolling. Use one hand to push the bottle down and the other hand to hold the neck. This is another interesting substitute for rolling. This is in the case that the thermos is smooth on both sides. It can make the dough flat perfectly. 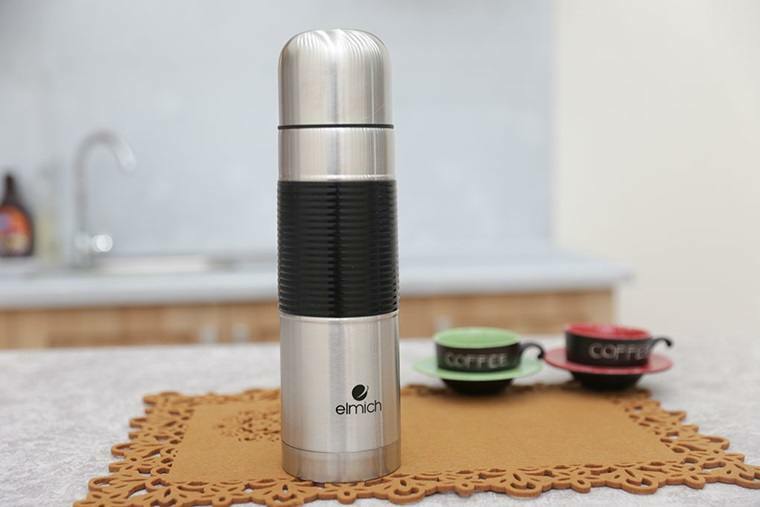 You can use a thermos that is long and cylindrical with smooth sides. You can keep a cold drink in the thermos as you use it to roll, this will help to make the dough to stay cold. This can be used to make the best pie crusts or pizza. Keep the thermos clean and dry before you use it to roll. Sprinkle some flour on the thermos to prevent the dough from sticking. use the thermos as if you are using the normal rolling pin. 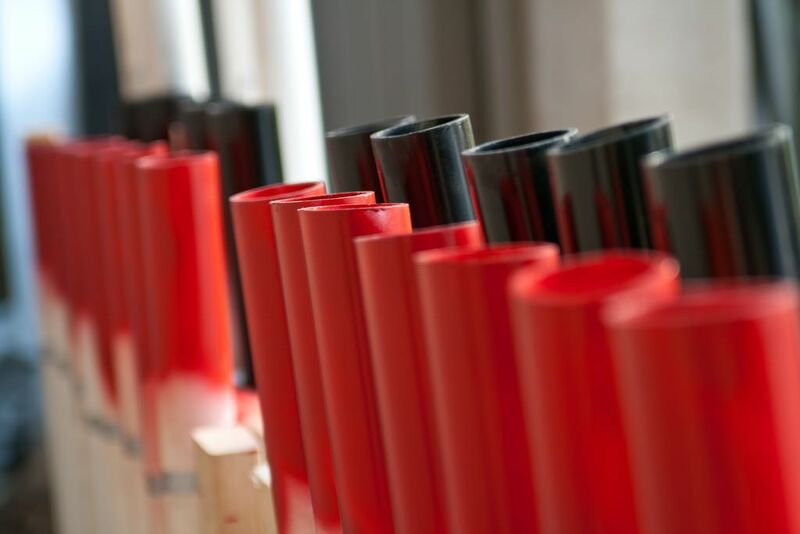 You can use a piece of the PVC pipe to make a substitute roller. You can cut about 15 inches piece and use it to roll. Remember to buy cups that can fit on the pipe ends. This will make it sturdier. Fill the pipe with cold water or some cereals to give it more weight. If you use water, ensure that it doesn’t leak out. Fix the caps tightly. Use a plastic wrap to sandwich the pipe. This will protect the dough from contamination. You can now roll the dough to the desired size of thickness. As soon as you finish rolling the dough, wash the caps with warm water with soap. Rise the carefully together with the pipe and allow them dry overnight. This is another acceptable substitute for rolling. You can use it to roll the pies. The sides should be smooth for the dough to look good. It should be heavy to avoid breaking when rolling. You can chill the glass before using. You can keep the dough cold. The cold glass can make very beautiful crusts of pastries and pies. This is because the butter can be kept cold. 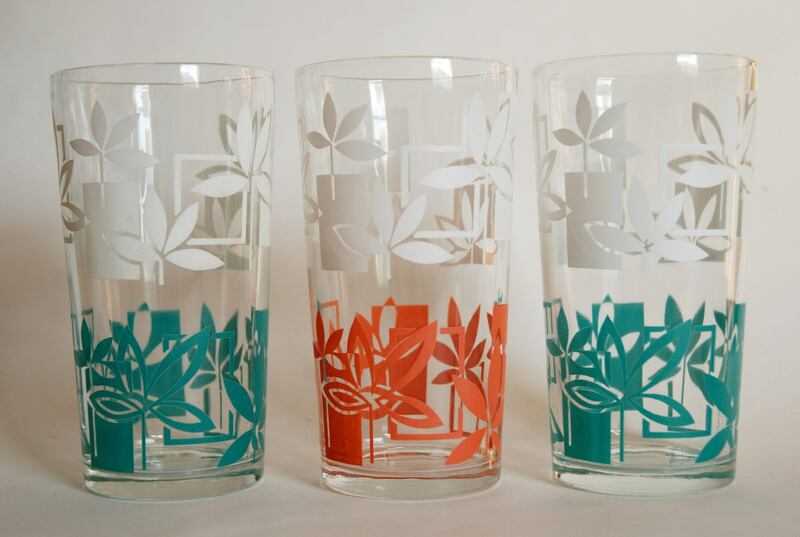 First, spray the glass with any oil or cooking spray to lubricate. Roll the glass as you would the normal rolling pin. Clean it thoroughly before you press it on the dough. Place the dough in between the plastic wrap sheets. The sheets can help to keep the dough from sticking to the tall glass when rolling. The water bottle is another substitute for the rolling pin. You can use a stainless water bottle nicely. 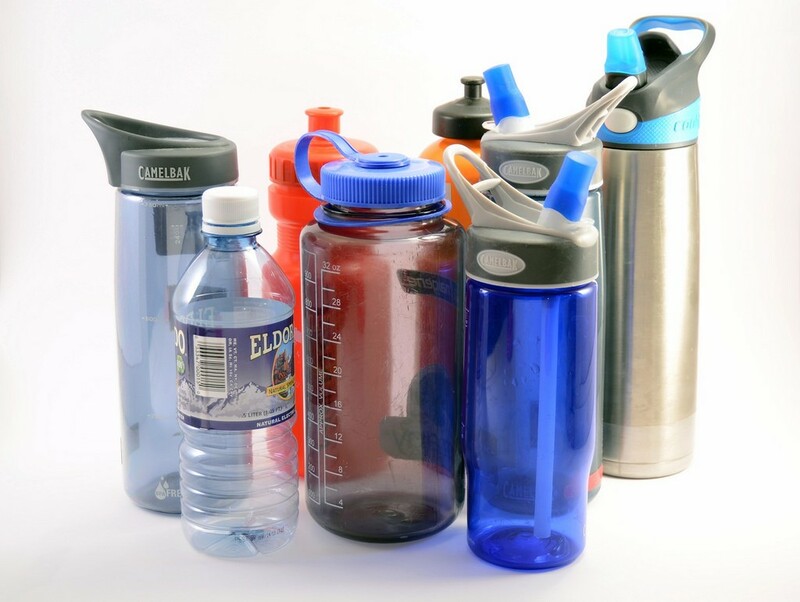 If you have a plastic water bottle, you can fill it with water to make it heavier. You can freeze the bottle with water. But this will be a bit uncomfortable on your hands. You can use gloves to prevent your hands from freezing. Make sure that you clean the water bottle well before you start to roll. You can put the dough in between plastic wrap. This will ensure that the bottle doesn’t touch the dough and the dough cannot stick on the bottle. A bottle filled with water will give you a firmer pastry. This is the closest duplicate of the wooden rolling pin. It is about an inch diameter. It should be about 19 inches long to handle it comfortably. If you have an extra dowel, you can drill it to make you own rolling pin. You can choose the walnut, maple, or cherry hardwood. The color of the cherry may darken to become reddish brown. It is resistant to deformation. The walnut is firm and its grains are tightly packed together. This makes it also resist any deformation. The maple also is able to resist any abrasion. The dowels have no handles. You need to use the heels of your hands to roll. You need to press it away from you. 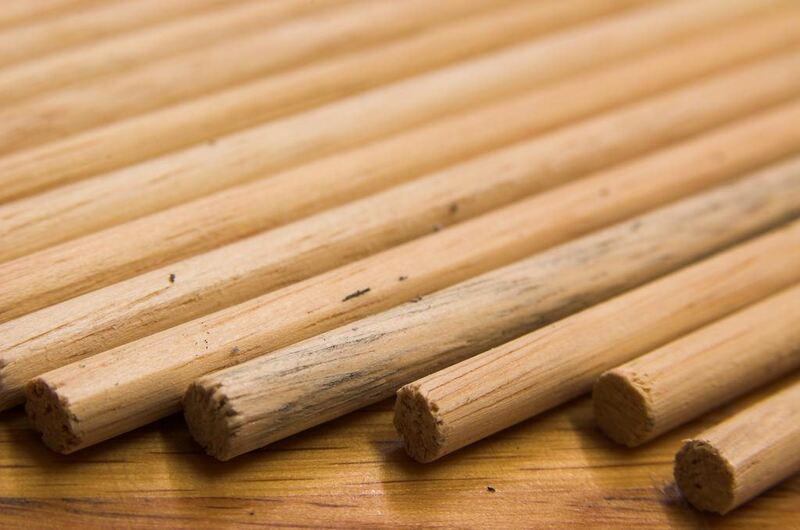 The dowel is the best substitute as compared to the rest. It is controllable and comfortable to use. It is perfect for soft bread and pie dough. It can also work well on chilled or hard cookie dough. If you have beverage cans, you can use one of them to roll. 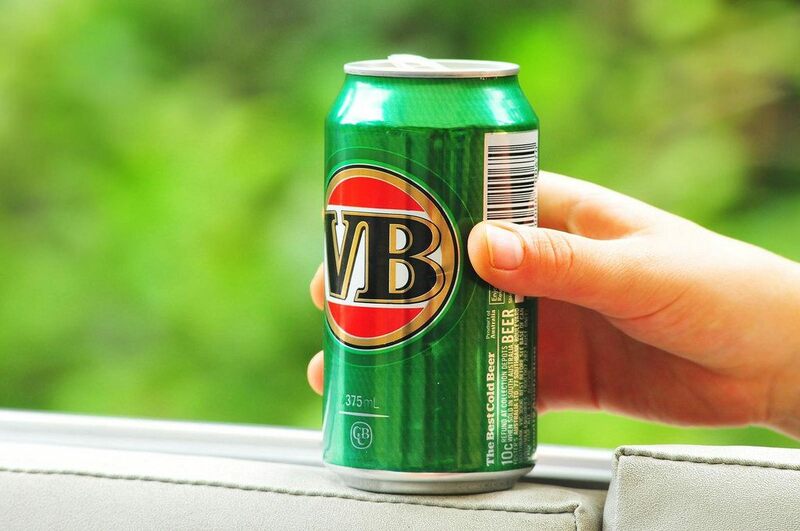 Use the one that that is not yet opened, it is better than an opened can. The one that is not open has sturdiness which makes the dough flat. The open can may collapse at any time because it is thin. You can chill the can for better results. This will keep the pastry from melting. You also need to wrap the can with a plastic wrap or parchment paper. This will keep the dough safe and clean. The paper will keep the dough dry by preventing the moisture from the chilled can. Be careful when you open the can after use. It may burst up with some foam. You need to tap the can on both sides to prevent this mess before you open the can. This works well with a regular soda. Did you enjoy reading the above information? 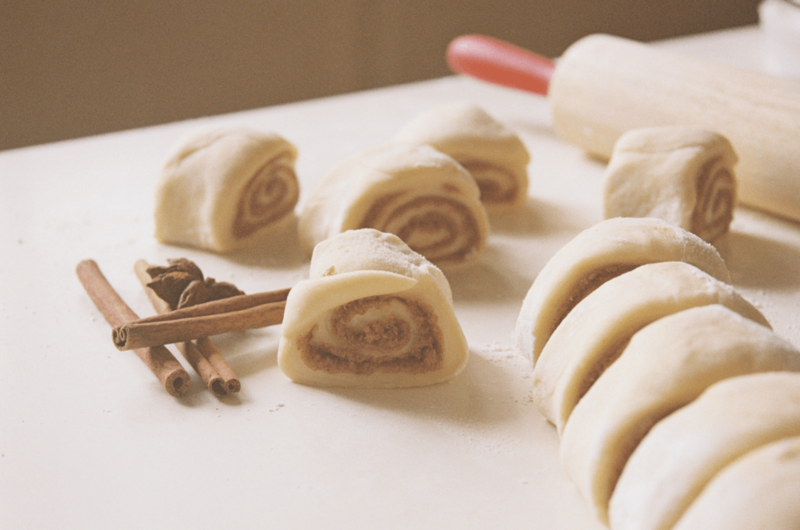 This is how you can use various objects as a perfect rolling pin substitute. It is very important to know how you can us the above items perfectly when you don’t have a real rolling pin. The above can save you time and money when baking your best cookies or pies. Have you ever tried any of the above items? Feel free to share your experience with us and others. If you have any question or comment, lets us know in the comments section.